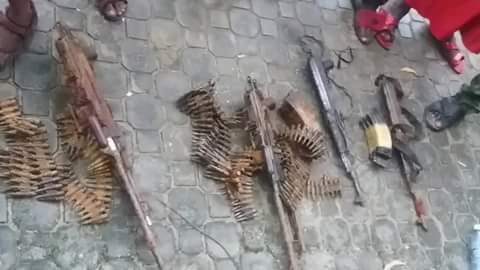 The Rivers State Government has told two cult leaders in Ikwerre LGA, ThankGod Wandikom and Friday, to surrender their arms and embrace amnesty or be declared wanted. The state government also said that the two cultists, who refused to accept the amnesty programme, would be tagged enemies of the state within 48 hours should they fail to change their minds. Special Assistant to the State Governor on Amnesty Programme, Mr. Kenneth Chinda, made this remark at Isiokpo community in Ikwerre Local Government Area while granting freedom to the leader of Icelander cult group, Justice Amadi, popularly known as Italian, and other repentant cultists in the area. Chinda stated that the two ‘Deygbam’ leaders in Omerelu community of the area, Wandikom and Friday, had refused to accept the amnesty programme of the state government. He pointed out that the duo had refused to come out on different occasions they were invited by the committee, stressing that other members of the cult in the area had repented. He stressed that the government was poised to return sanity to the state, noting that anybody who refuses to denounce cultism in the state will be dealt with by security agencies. Chinda said, “The state government is today declaring two leaders of Deygbam cult group in Omerelu community, ThankGod Wandikom and Friday enemies of the state. They refused to surrender to the amnesty programme. Meanwhile, the leader of the cultists who submitted to the Amnesty committee programme, Justice Amadi, thanked the state government for the privilege given to him. Amadi urged the government to ensure that they (repentant cultists) were integrated into the community and provide a source of livelihood. In his remark, the Chairman of Ikwerre Local Government Area, Mr. Samuel Nwanosike, promised that the state government would embark on skills acquisition programmes for the repented cultists as a means of providing them assistance. Nwanosike, who spoke after the repentant cultists submitted their arms to the state government, warned against the selling of hard drugs in the area, stressing that anybody caught selling such drugs will be made to face the wrath of the law. He disclosed that the LGA had already instituted a regional amnesty office in the area to address the needs of the repentant cultists, assuring that the lives of the cultists will be repositioned.